Dainty Hooligan, one of The Drag's newest boutiques, sells affordable style with a West Coast aesthetic. Open since June, the Austin location of Dainty Hooligan is the fourth store to open in the country, with the parent store in Tulsa and the warehouse in California. Owner and buyer Jessica Issler gathers inspiration from West Coast fashion and markets towards the girly, yet edgy girl, says store manager Whitney Fischer. “The clothes fit the independent girl, one that has that willingness to stick out — a girl who’s feminine yet spunky, that ying-yang kind of thing,” Fischer says. Walking in, visitors see a seemingly endless selection of hanging racks packed with vivid, graphic dresses, tops, skirts and pants in a variety of cuts and patterns. Color coordinated racks model Chevron sundresses, maxi skirts, graphic sweaters and printed pants. 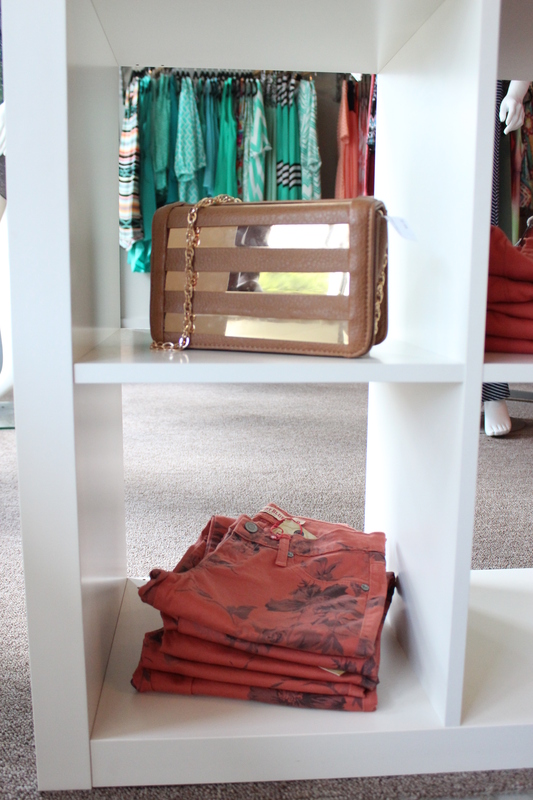 The boutique offers brands, such as Sky Clothing, Lush, Hardtail, Frankie B, Wildfox Couture and Olivaceous. The prices of most pieces range from $20 to $40. In contrast to the apparel's colorful palette, the ceiling exposes industrial infrastructure slathered in black paint between sparkling chandeliers. The two elements complement one another, bringing a chic, downtown loft feel to the room. As all Longhorn women know, finding trendy, burnt orange apparel is no easy feat. Dainty Hooligan has a great selection of game-day attire, perfect for cheering on the Horns. The boutique's accessory selection includes beaded statement necklaces, chunky gold rings and suede lace-up wedges, which can take any outfit from day to night. Fitting in with the collegiate fashion scene, Dainty Hooligan has the potential to become a new staple among Austin 20-somethings.